In November 2016 Sovereign Housing Association and Spectrum Housing merged to form one of the UK’s largest housing associations with 56,000 houses, 130,000 residents, and 1,800 employees. With a new CEO and leadership team in place, Sovereign knew that in order to better serve the needs of residents, the business would have to transform. The goal was clear: become a modern, connected business. Digital would be the enabler for change, but how would employees embrace it? Our role was to create an appetite for digital transformation, and excitement for Sovereign’s future. To start we ran several workshops, talking to employees from across the business to understand their day to day realities and how they felt about the change. From here, we created a compelling narrative to deliver the case for change which is aspirational, yet honest and authentic. Next up was to bring together managers, critical to cascading messages to teams, to co-create an interactive toolkit with everything they need to help them meet the challenges of managing change. 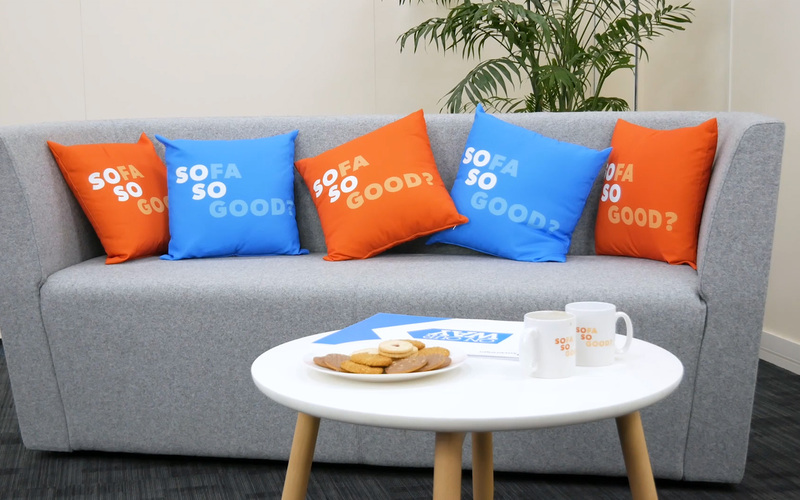 Tell great stories – Sofa, So Good? To engage employees further, we asked them to share their stories, thoughts and opinions on the transformation journey in a different way. We created Sofa, so good? 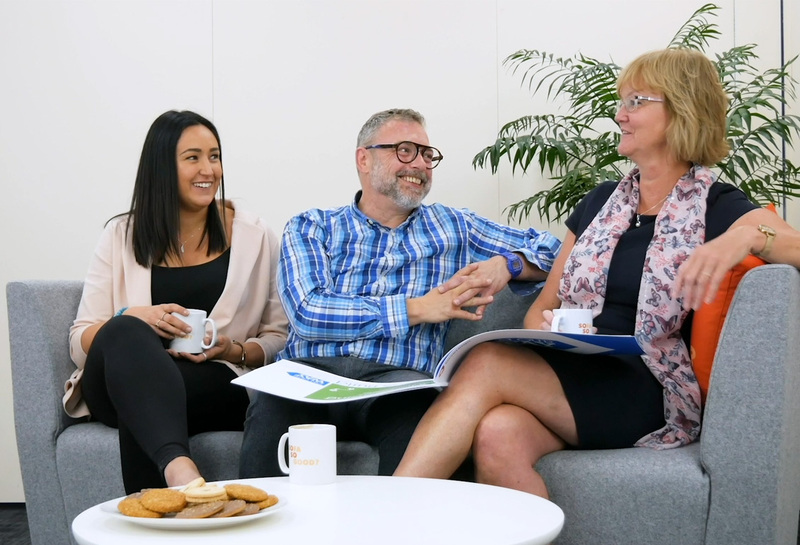 Sovereign’s version of the popular TV show ‘Gogglebox’, putting colleagues on the sofa to talk openly about the impact they’ve felt from the change. Next up we wanted Sovereign’s people to really experience change and get an interactive, first-hand look at the Sovereign of the future. 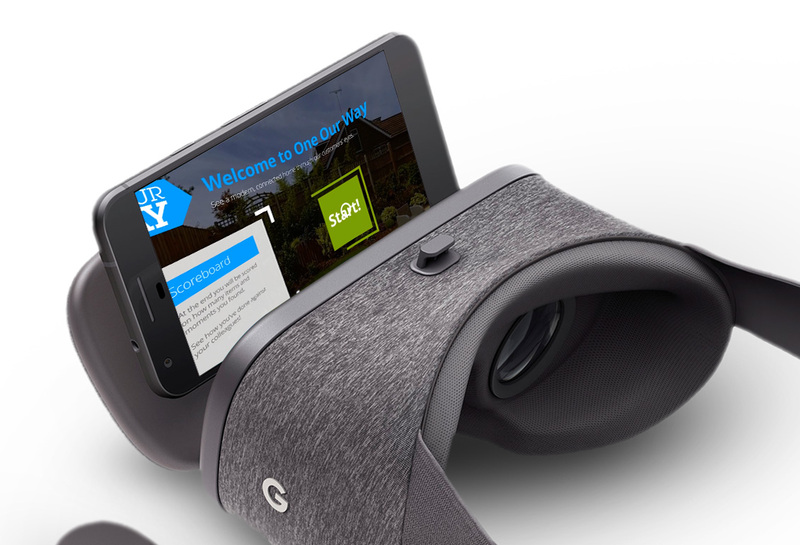 We created a VR experience for teams to understand and bring to life what residents will experience. It was launched at Sovereign’s leadership conference and is used as a great onboarding tool for all new starters. The digital transformation is now complete. Systems have been integrated, the tech is now live, and surveys show we’re winning over hearts and minds, with 92% of people understanding the vision and 80% feeling positive in their teams. But true to the ‘On Our Way’ message, there’s still work to be done. For the next phase we’re putting an emphasis on transforming behaviour, culture and ways of working.